The translator renders xop as "blessed," but clearly it is to be blessed with a kind of supernatural power that takes over a person. This kind of frenzy is also expressed in the word xo, of which xop is apparently an expansion. The word xo means "wrong, crazy." Both xo and xop describe a state of possession. This kind of frenzied possession might be expected to be particularly characteristic of those who belong to the Society of Those Blessed by the Night Spirits. We see this kind of possession at warbundle feasts where a holy person is called upon to recount his war exploits. Links: Nightspirits, Supernatural & Spiritual Power, Witches. Stories: mentioning Nightspirits: The Nightspirits Bless Jobenągiwįxka, The Nightspirits Bless Čiwoit’éhiga, The Origins of the Sore Eye Dance, The Rounded Wood Origin Myth, The Big Stone, How the Thunders Met the Nights, Fourth Universe, The Race for the Chief's Daughter, The Daughter-in-Law's Jealousy, Ocean Duck, The Origins of the Nightspirit Starting Songs, Baldheaded Warclub Origin Myth, Sun and the Big Eater; pertaining to the Medicine Rite: The Medicine Rite Foundation Myth, The Journey to Spiritland, Holy Song, Holy Song II, Maize Origin Myth, The Necessity for Death, Hog's Adventures, Great Walker's Warpath; mentioning witches or warlocks: The Witch Men's Desert, The Thunder Charm, The Wild Rose, The Seer, Turtle and the Witches, Great Walker and the Ojibwe Witches, The Claw Shooter, Migistéga’s Magic, Mijistéga and the Sauks, Migistéga's Death, The Mesquaki Magician, The Tap the Head Medicine, Keramaniš’aka's Blessing, The Magical Powers of Lincoln's Grandfather, The Hills of La Crosse, The Shawnee Prophet — What He Told the Hočągara (v. 2), Įčorúšika and His Brothers, Thunder Cloud Marries Again, Paint Medicine Origin Myth, The Woman's Scalp Medicine Bundle, Potato Magic, Young Rogue's Magic. Themes: two (groups of) holy men contest one another with supernatural power: The Claw Shooter, Great Walker and the Ojibwe Witches, The Tap the Head Medicine; shooting claws: The Claw Shooter, Mijistéga and the Sauks, Redhorn Contests the Giants; a being is invulnerable: Worúxega, Tecumseh's Bulletproof Skin, The Canine Warrior, The Blessing of a Bear Clansman, The Man who was a Reincarnated Thunderbird. 1 Jasper Blowsnake, "Hišjaxíri Waci (Sore Eye Dance)," in Paul Radin, Winnebago Notebooks (Philadelphia: American Philosophical Society, n. d.) Notebook 23: 192-195. 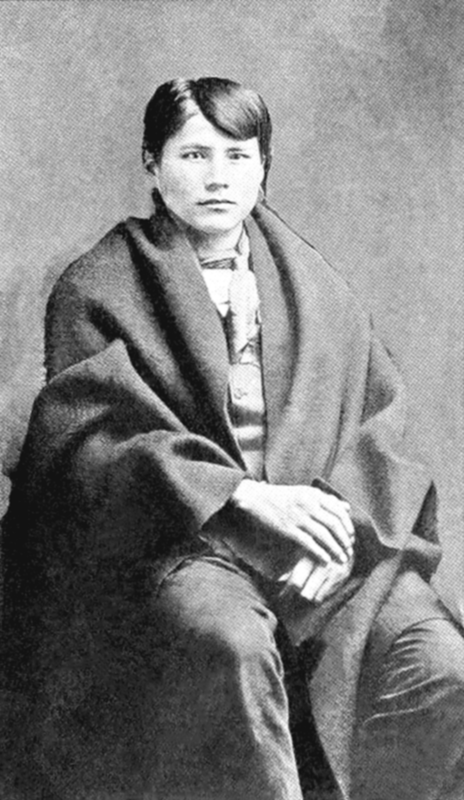 An English translation is also found in Paul Radin, The Winnebago Tribe (Lincoln: University of Nebraska Press, 1990 ) 295. 2 Radin, The Winnebago Tribe, 234. 4 Blowsnake, "Hišjaxíri Waci," 187-191; Radin, Winnebago Tribe, 294.